Blogging is now growing up more popular as a profession beside hobby. Many of Bloggers are now famous for their blog. If you have enough interest to blog, then why are you doing late? Turn your passion into profession. It has very shiny of future career on here. You can make huge money from blogging. Lets start blogging and it is free ! 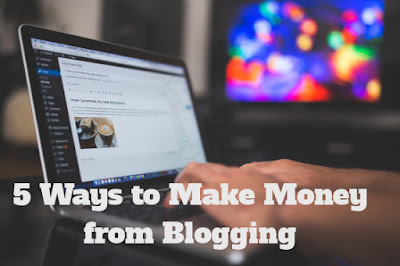 This article will help you to show the 5 ways to make money from blogging. If you have at least one blog with more traffics, then try one or all of the bellow. If you don't have a blog, then create a professional free blog step-by-step. 1. By Showing Ads: Making money by showing ads is the most popular way. You can show ads from Google AdSesne, Media.net, BuySellAds etc various Ads network. If your blog has enough organic traffic, content of your blog be unique and attractive, then your site can generate much revenues by showing ads. If you put any option to promote your website/blog as Ads publishing, advertiser may follow up and may be interested to publish ads on your blog by making payment. Read: Apply for AdSense - Approval Fast. 2. Affiliate Marketing: If the niche of your blog/website be product promoting, then you can drive your visitors into buyers. If they buy and product from your affiliate link, you will be rewarded the percentage of selling amount. Amazon, eBay, AliExpress, CJ, Rakuten Marketing may be your first choices to start affiliate marketing. 3. Sponsored or Review Post: You can put an option of sponsored or review post on your blog. If some agent or company is interested, you will be paid for publishing sponsored or review post on your blog. In several times, I have been offered to publish sponsored or review post on my Blog. Recently, I have recieved an amount from a Software company and that was awesome. 4. By selling products: This is the another advantages of product niche. 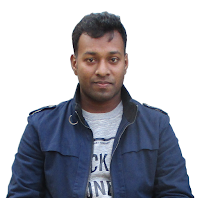 If you have product related niche blog or website, you can sell your own product through your blog. In case of necessary you can boost your product from AdWord, Facebook Ads. 5. Online Services: If you have much skill on specific service, you can promote yourself among audiences to serve them with your skills. Promoting yourself from your blog will help your profile on Fiverr, UpWork, Freelancer or other Freelancing marketplaces. I hope you will try those to make money from your blog. If you have more idea than please share with us so that we can be succeeded.